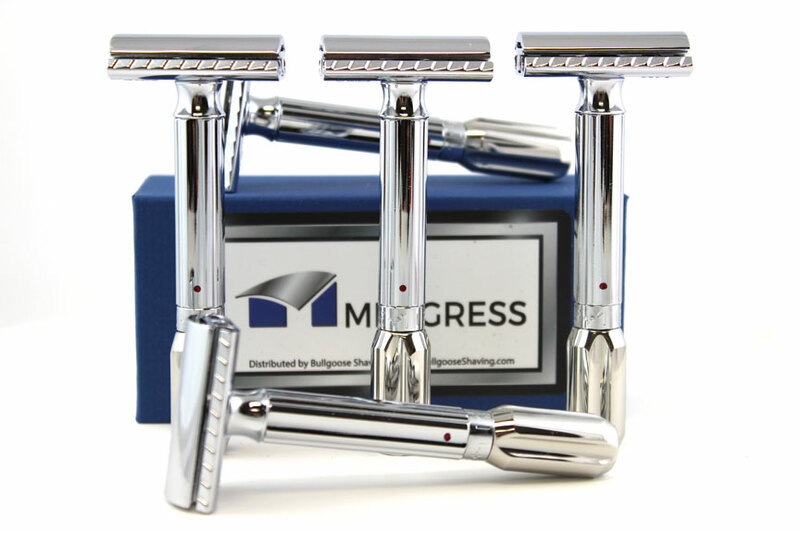 The Mergress XL razors have been out of stock for the past 6 weeks or so. We received a new shipment yesterday with a slight change -rather than the usual Blue adjustment dot, this batch came with a Red adjustment dot. The Mergress XL is modified by Eric (Mer) Maier and is equipped with a longer and heavier machined stainless steel adjustment knob. Eric smooths out the action, calibrates the razor and adds an adjustment dot to improve on an already fantastic shaver. The extra heft feels great in your hand. 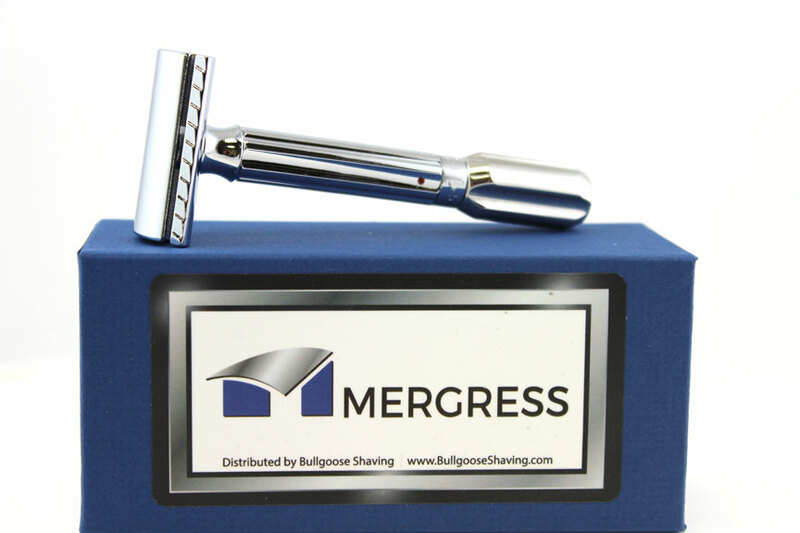 Grab one while you can -we are already down to our last 8 razors.